American soldier. He entered in the Civil war as captain of Company B, 31st New York Infantry, and rose to the rank of lieutenant-colonel. His term of service expired a few days prior to the battle of Chancellorsville (May 2, 1863); but he elected to remain at the front, and was fatally injured, dying shortly after in Washington. President Lincoln visited him at his bed-side and brought a commission promoting him to the rank of brigadier-general. 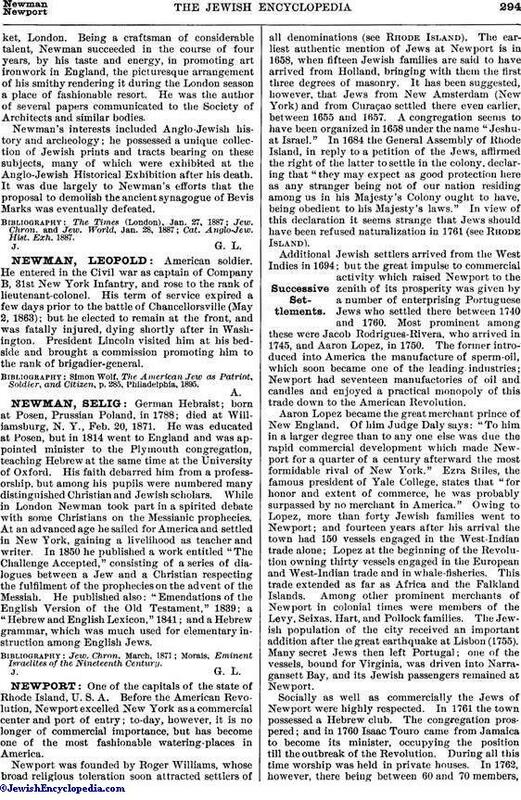 Simon Wolf, The American Jew as Patriot, Soldier, and Citizen, p. 285, Philadelphia, 1895.